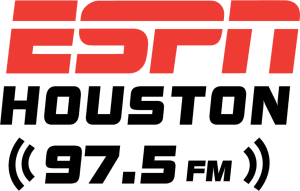 Whitney Mercilus joins The Jake Asman Show to discuss the 2018 Texans season, and how the team was able to come back from an 0-3 start to win the division. According to Mercilus, the team's improvement on special teams in 2018 was a big factor for the Texans. Houston's weakness in this area has been an issue for several seasons, and they showed noticeable improvement in 2018. Whitney also talks about coming back from a pectoral injury he suffered in 2017, and how he got off to a slow start after tweaking his hamstring in training camp. Later, Mercilus shares his thoughts on what makes J.J. Watt and Jadeveon Clowney so special, and how the addition of safety Tyrann Mathieu impacted the team. Finally, Whitney talks about Deshaun Watson's toughness and how expects him to get substantially better every year. You can listen to the full interview above, and make sure to catch The Jake Asman Show on SB Nation Radio.